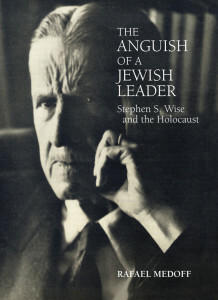 Rabbi Dr. Stephen S. Wise (1874-1949) was the most prominent and influential Jewish leader of his time. He headed an array of communal institutions, including two major defense groups, the American Jewish Congress and World Jewish Congress, as well as the American Zionist movement; the Free Synagogue, in New York City, and a rabbinical seminary, the Jewish Institute of Religion (later to merge with Reform Judaism’s Hebrew Union College); and the monthly journal Opinion. At the same time, Wise was deeply involved in numerous liberal political and social causes. He was a founder of the American Civil Liberties Union, a board member of the National Association for the Advancement of Colored People, and an activist for women’s suffrage, labor rights, and international disarmament. He took part in the investigation of the Triangle Waistshirt factory fire, raised funds for striking textile workers, campaigned for the freedom of Sacco and Vanzetti, and was involved many other political and social struggles. In his early years, Wise earned a reputation as someone who was not afraid to cause controversy. He established the activist, ethnically assertive American Jewish Congress (in 1918) as a challenge to the elitist and undemocratic American Jewish Committee. He was an outspoken Zionist at a time when the vast majority of his fellow-Reform rabbis were anti-Zionist. He led “Stop Hitler Now” rallies in the 1930s, at a time when other Jewish groups, notably the AJCommittee and B’nai B’rith, argued that public anti-Nazi protests would endanger German Jewry and provoke antisemitism in the United States. Wise’s relationship with Franklin D. Roosevelt was not smooth at first. After initially endorsing Roosevelt for governor of New York in 1928, Wise and FDR had a falling out in 1931 after the governor refused to take on the corrupt Tammany Hall political machine. During Roosevelt’s first campaign for the White House, in 1932, Wise wrote to his close friend, Prof. Felix Frankfurter, about FDR: “I know him and I know how utterly untrustworthy he is the moment any problem arises, decisions or tactics touching which may adversely affect his own political fortunes. I have nothing but horror at the thought of what Roosevelt will be for four years at Washington.” In another letter to Frankfurter, Wise complained that FDR had “no deep-seated convictions,” “no bed-rock…he is all clay and no granite.” That year, Wise voted for a fringe presidential candidates, the Socialist Party’s Norman Thomas. Once Roosevelt was in the White House, Wise’s attitude changed. The New Deal reflected much of the social justice agenda to which Wise was deeply committed and he became an enthusiastic supporter of the new administration. In his correspondence he often called FDR “the Great Man” or “the All Highest.” In 1937, he wrote to a colleague: “[I]n the District of Columbia, we have a great, good Friend. He is thinking about us and for us. He is planning for us. We are in his mind and on his heart.” Wise’s practice of “constantly praising Roosevelt” before Jewish audiences played a significant role in “building up the Roosevelt cult among the Jews to a fantastic degree,” in the view of 1940s American Zionist leader Emanuel Neumann. Still, Wise was careful to keep his disappointment behind closed doors. Enthusiastic about the New Deal and wary of irritating a president with whom he had not yet developed a personal relationship, Wise told 1,000 delegates at a conference of Jewish groups in New York City they should be satisfied “that no American ambassador has been sent to Berlin.” It was small consolation, however, and short-lived at that; FDR’s delay in sending a new envoy was not a protest against Germany’s policies, and, in any event, six weeks later, Roosevelt chose his new ambassador. Wise enthusiastically supported Roosevelt’s re-election campaign in 1936, and subsequent campaigns, and the relationship on occasion yielded dividends on matters of Jewish concern. For example, in the autumn of 1936, when Wise learned of British plans to close off all or most Jewish immigration to Palestine, in response to Palestinian Arab violence. At Wise’s request, Roosevelt leaned on the British to keep Palestine open, enabling some 50,000 European Jews to reach the Holy Land before London’s White Paper shut the doors in May 1939. But that episode turned out to be the exception that proved the rule in Wise’s relationship with FDR. Wise’s hopes regarding FDR and European Jewry were briefly buoyed when, in early 1938, Roosevelt created a President’s Advisory Committee on Political Refugees (PACPR), and invited Wise to join. However, in the years to follow, FDR almost never consulted with the committee or took its advice. Wise was likewise irritated by the high-profile protest tactics employed by the Bergson Group. “They are a disaster to the Zionist cause and the Jewish people,” Wise wrote to a friend. “Yet see how many names they capture of persons who are well-meaning and friendly to the Jews. It is too sad for words!” Even his own son, James Waterman Wise, lent his name to one Bergson advertisement. The introduction, in November 1943, of a Bergson-authored congressional resolution urging creation of a government rescue agency posed a dilemma for Rabbi Wise. On the one hand, the resolution was strongly opposed by the Roosevelt administration, to which Wise was closely attached. Moreover, passage of the resolution would constitute a major political victory for the upstart Bergsonites, whom Wise deeply resented. On the other hand, for Wise to openly oppose the resolution might make it seem as if he was opposed to rescuing Jews from Europe. At a meeting of the leadership of the American Jewish Conference, which he chaired, Wise told his colleagues that he “favored a bill of some kind, [but] did not favor this bill.” Wise privately urged the lead sponsor, Sen. Guy Gillette, to withhold the resolution. Wise’s testimony likely played a role in convincing the majority of the foreign affairs committee members to shelve the resolution. However, the controversy over the testimony of Assistant Secretary of State Breckinridge Long, combined with the adoption of the resolution by the Senate Foreign Relations Committee and behind-the-scenes lobbying by Treasury Secretary Henry Morgenthau, Jr. and his staff helped bring about the establishment of the War Refugee Board. Rabbi Wise’s response to the Holocaust was intertwined with his leadership of the Zionist Organization of America and then the American Zionist Emergency Council, a coalition of the major American Zionist groups. Advocacy of Palestine as a haven offered a way for American Jews to advocate for rescue without having to directly challenge the Roosevelt administration to admit more refugees. The problem that Wise and his AZEC co-chair, Rabbi Abba Hillel Silver, encountered was that President Roosevelt was unwilling to pressure the British on the Palestine issue in the midst of the war. 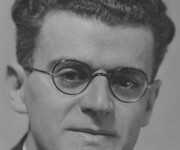 The efforts of Wise, other Jewish leaders, and Jews within the administration in the summer of 1943 narrowly averted a planned Anglo-American statement banning public discussion of Palestine until war’s end. In his 1949 autobiography, Challenging Years, Wise praised FDR for “grasping what was occurring [concerning Europe’s Jews] with more feeling and understanding” than his State Department. He even depicted the 1945 Ibn Saud meeting as a demonstration of Roosevelt’s sympathy for Zionism. An earlier draft of the manuscript, was decidedly lukewarm regarding about Roosevelt’s response to the Holocaust and suggests that Wise’s private feelings did not match his public expressions. “The record of Franklin D. Roosevelt [regarding Europe’s Jews] is what it is,” he wrote in the draft. Sources: Medoff, FDR and the Holocaust, pp.39-72; Medoff and Golinkin, The Student Struggle Against the Holocaust, pp.30-42.